La Suissa is famous for its innovative products and for the exquisite flavour and fine quality of its chocolate, made from carefully selected ingredients. This milk chocolate egg contains a fantastic surprise, and comes in a magnificent tulle wrapping that will bring joy and colour to your Easter table. 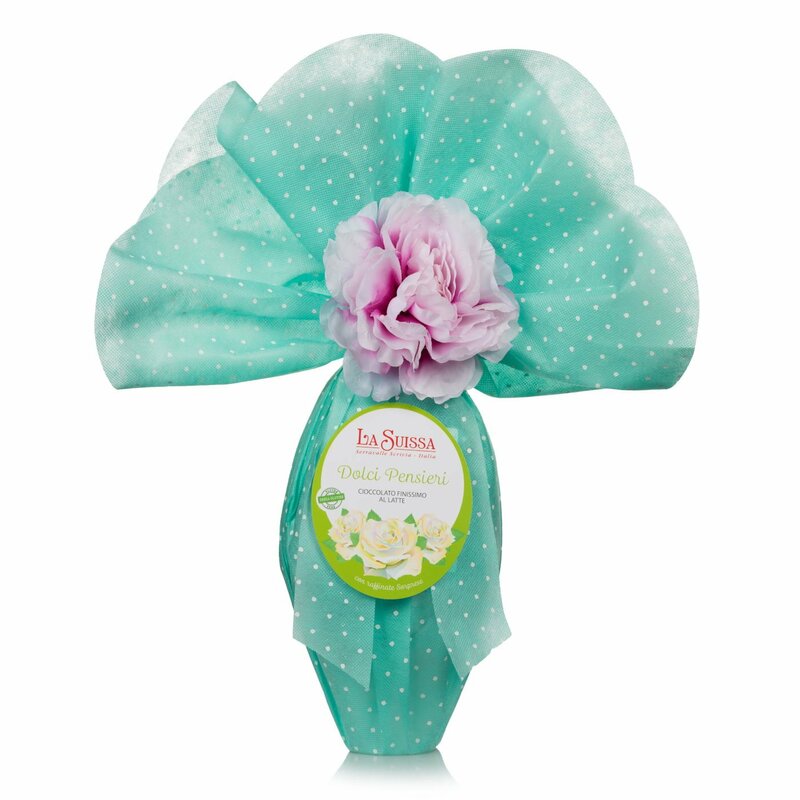 The La Suissa milk chocolate egg makes an ideal gift for either adults or children, and is sure to make your Easter sweeter than ever. Ingredients Sugar, milk whole powder, cocoa butter, cocoa mass, emulsifier: soy lecithin, natural vanilla flavouring. Min. 31% cocoa solids May contain traces of nuts. Gluten-free. For more information on product labels, please contact our Customer Service department. The information on the labels of the products may vary for reasons beyond our control, therefore, there may be discrepancies between the information on the site and that on the products delivered. Please always check the information on the product before consumption or use. The story of our passion for chocolate begins in 1981 in the hills of Piedmont between Gavi and Monferrato. Since then, La Suissa has become synonymous with quality and tradition in Italy and the world.